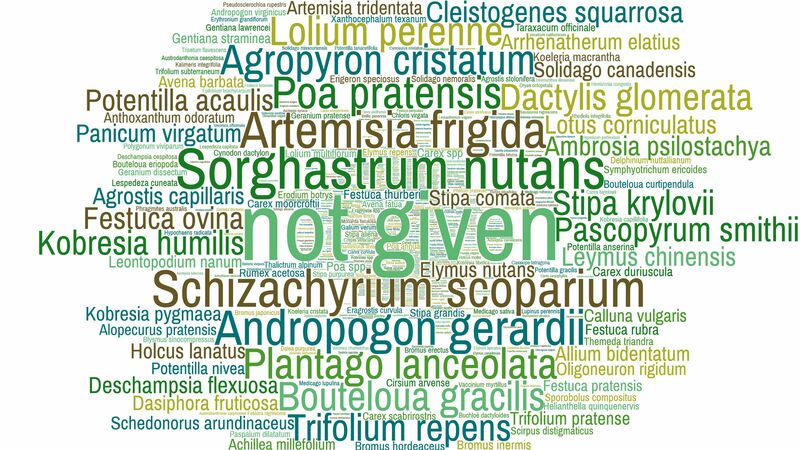 Word cloud of the dominant vegetation species from the studies that we looked into. Among other things, we examined whether studies tested one or more of the climate change variables, and whether they investigated interaction effects, as there is no reason to expect individual effects to be additive. We also examined the magnitude and range of the climate change treatment(s) applied. A huge variety of response variables was measured, ranging from individual to ecosystem levels. Notably, approximately one-third of the response variables were reported in fewer than 10 studies, making meta-analyses difficult for those variables. Given that meta-analyses and modelling will be important in synthesising climate change effects for the large range of grassland systems and combinations of climate variables, the ability to extract response data from these completed studies is critical to their future use. Many major journals, including those of the British Ecological Society, are implementing mandatory public data archiving policies. I have made a habit out of publicly archiving my curated raw data for each of my publications, regardless of whether it is mandatory. I think this is good research policy. Therefore, I was disappointed to find that only 21 of the 841 studies provided publicly archived data, even though the majority of research has been done since the late 2000s and early 2010s, during an era of increasing awareness of the importance of data accessibility. I’m not going to divulge all the other details here, but our methodological summary has shown where strengths can be found in the grassland and climate change research to date, as well as areas that still have a lot of potential for exploration. We hope that our identification of research gaps will be considered in subsequent research and help to develop a more comprehensive picture of the likely ecological effects of future climate change on a variety of grassland ecosystems. 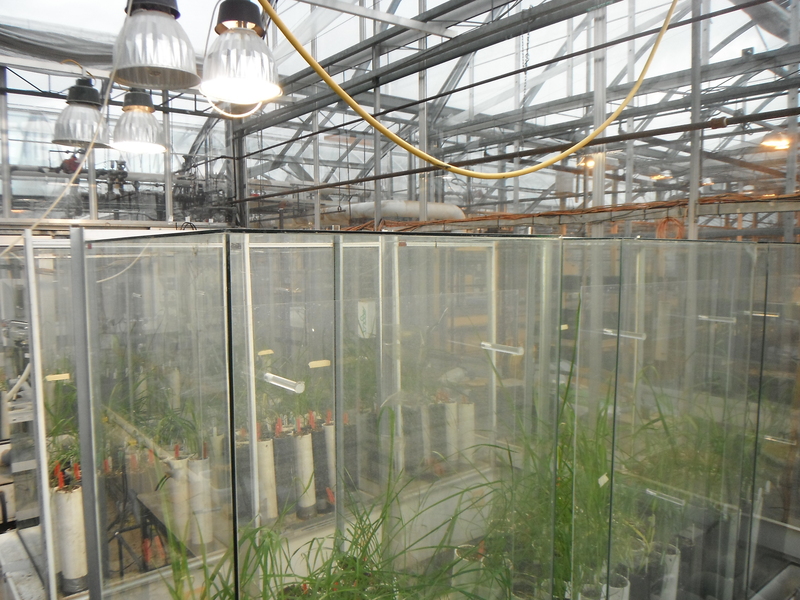 This entry was posted in Conservation and management and tagged Carbon Dioxide Levels, Changes in Precipitation, Changes in Temperature, climate change, Data Archiving, Grassland, meta-analysis by Chris Grieves. Bookmark the permalink.